My favourite ingredient to cook with, and eat out of the jar with a spoon, is Almond Butter. So any recipe I can find containing it is a winner. I always have a few jars stocked up in my cupboard, my favourite ones being either Meridian or My Protein. 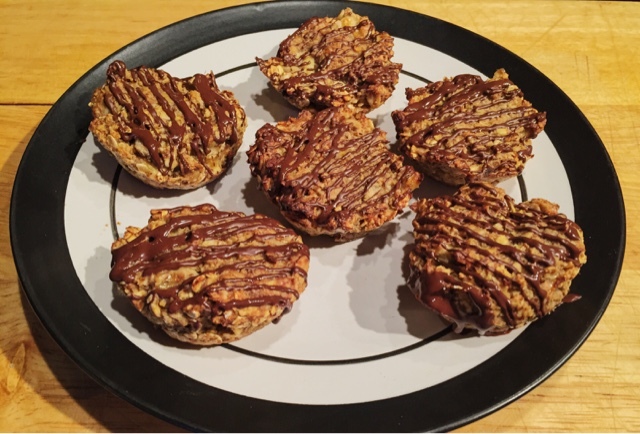 These are perfect for an afternoon snack with a cuppa or an evening snack before bed. 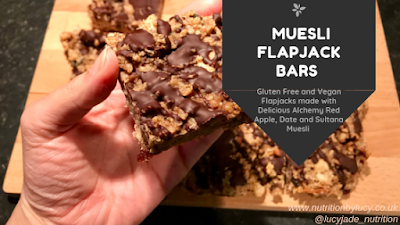 You can make these in either a big tray to have one big flapjack or put them in cases to make smaller ones for more bitesize snacks. 2 Tablespoons of Almond Butter. 2 Tablespoons of Date Syrup. 1 Tablespoon of Flaxseed mix. Start by mashing up the bananas in a mixing bowl. Stir in the Oats, Date Syrup and Flaxseed until is forms a gooey mixture. Put in the oven for about half an hour, or until golden brown. Melt chocolate and pour over the top of the flapjacks.